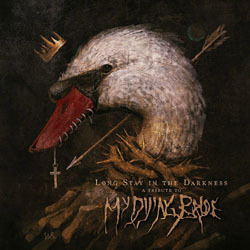 Russian label SoundAge Productions in cooperation with OR fanzine has prepared an international tribute to Gothic doom death metal legends My Dying Bride, entitled “Long Stay in the Darkness“. It will be released in limited 2CD digipak edition on April 25, 2107. The first CD includes covers of Russian bands, while the second CD includes non-Russian bands. Album tracklist and cover artwork by W. Smerdulak are already revealed. You can also check a 10-minute video teaser below and get a good taste of what’s to come. Pre-orders will be soon available.